The original article-series on Anthropomorphic Animals in Eclipse (Genegrafting, Genetic Engineering, and Anthropomorphics in d20: Part I, Part II, Part III, and Part IV.) covered things from a technical standpoint – and stressed the differences between the various animals. It didn’t cover mental differences, since it didn’t look at exactly HOW those anthromorphs came into being – which is a pretty critical point when you’re talking about what their minds will be like. On the other hand, an awful lot of anthromorphs in fictions, comics, and anime are a lot more human than a serious anthropomorphic animal. Such characters have some purely cosmetic animalistic traits and are usually portrayed as having better senses of sight and smell, some modest physical advantages, and a few natural skills (such as an otter-morph being good at swimming). More importantly, they’re all roughly similar; when rabbit-morph samurai clash with tiger-morph samurai, or monkey-morph martial artists clash with elephant-morph martial artists, or fox-morph magi clash with bull-morph magi, they meet on more-or-less equal terms. The fox may be more cunning, but the bull is more enduring, the rabbit is somewhat more agile, the tiger is somewhat stronger, and so on – and it all pretty much balances out. In fact, in a lot of those settings the various morph-types can interbreed – usually with the child taking after one or the other parent, but sometimes with compromise traits. In other words we’re talking about a single species with a lot of minor (and mostly cosmetic) variants. Ergo, here we have the Wildfolk – a species with a totemistic origin and many animalistic variants. Millennia past, the masters of the dark and terrible realm of Korath worked a mighty ritual, opened a stable dimensional route into the Old Kingdoms of Shifian, the Emerald Realm, and began a war of conquest and extermination. If Shifian – a dimensional crossroads bordering upon a myriad realms – could be taken, and it’s defenders eliminated, the multiverse would be theirs. The warriors, the priests, the magicians, and the cunning folk of the Emerald Realm marched to battle. The cities, fortresses, and temples raised walls and barriers of magic and built engines of war. The simple folk of the hills and mountains hid, laying traps and ambushes to delay and warn against the forces they could not directly withstand. They pacted with the elemental totemistic spirits of the natural world, gaining their aid and strength in exchange for binding themselves – and their descendants – forever to the forces of nature. Empowered by those pacts, the forces of the land and the creatures of Shifian rose against the invaders – trapping them between the fortresses of the mighty and the marching forests. By the time that Saint Giovan of the Axe reached and felled the Tree of Worlds that had been created by the ritual thathad bound Shifian to Korath – forever severing that bond – the simple folk of Shifian’s mountains, valleys, and forests were no more. In their place, there stood the Wildfolk. Today, the Wildfolk of the Emerald Realm continue to prefer a simpler life, and generally occupy the sleepy rural villages, wild forests, mountains, and borders of the realm, where their physical advantages and abilities are most useful – and where their attunement to nature suffers fewer affronts than in the teeming cities of the river plains and coastal harbors. 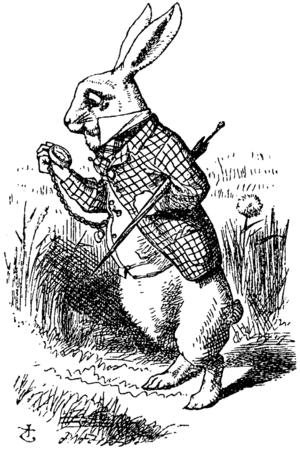 “Wildfolk” come in a wide variety of anthropomorphic stylings – there are rat, tiger, bird, and many other morphs – but all follow the same basic template. Sadly, even the bird-morphs usually cannot actually fly, although they will have a good justification for investing in developing such an ability. At 75 CP that’s a fairly expensive package. Fortunately, the entire template is considered Specialized; the Wildfolk are subject to strong instincts and occasionally must make will checks to resist them, suffer from various minor physical limitations and major species-related social prejudices (especially when visiting worlds other than Shifian. This won’t apply in worlds where everyone is one or another type of Wildfolk, but in that case there’s no question of “balancing the races” anyway), have assorted dietary restrictions, are somewhat limited with regard to equipment (a lot of it must be especially-fitted for particular species, are readily described and recognized, and may have minor special requirements. That brings the net cost down to 37 CP – still within +1 ECL territory, although not by much. Fortunately, they do have three racial disadvantages, worth a total of -10 points – which will more than make up the difference and bring them down to a +0 ECL species. Obligations x2: The Wildfolk are bound to nature, and must protect and defend it – restricting the spread of urban civilization to maintain the balance, expelling outsiders, destroying undead, and taking druidical duties in addition to incorporating a wide variety of minor rituals honoring the spirits of nature into their daily lives. Accursed: The Wildfolk sense major affronts to nature in a wide radius – and can be sickened by particularly bad examples while they are in close proximity. Thus, if the land is filled with toxins, or infernal energies, or blighted by the undead, they may suffer penalties for that – despite their obligation to deal with the situation. The Wildfolk are quite powerful for a +0 ECL species – but those obligations and duties of theirs can also be a tremendous bother, especially when they drag them into situations where they’re at an automatic disadvantage. The instincts can be quite a bother too, since they ONLY come into play when they’re against doing what the player wants the character to do. The social problems… will and should hurt at times (there’s an article on that over HERE). Overall, they’re a fairly reasonable build for anyone who wants some +0 ECL anthromorphs.